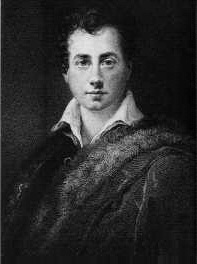 Childe Harold, though avowedly a fragment, contains many passages which would do honour to any poet, of any period, in any country. At the same time we are compelled to remark, that there are others which we must strongly reprobate; and not the less so because it is the thought rather than the expression with which we quarrel. The tone of the whole work is that of melancholy; but we accuse not the noble Lord of servile imitation. It is not often the description of sorrow, demanding sympathy, affected by so many ancient and modern poets. It is too frequently, though not invariably, selfish, misanthropic, unamiable. Lord Byron has contrived also, in other respects, to render some of the best feelings of the human heart hostile to him. Byron's letter to Murray is reproduced below.